Do you need any vehicle on rent in Himachal and Kashmir We own many vehicles such as compact, economy, luxury, premium, standard, mini van, compact pick up and MUVs & SUVs. 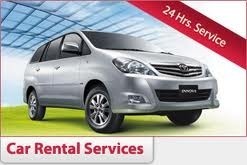 We can provide you all our vehicles on very low rent and you can also choose from our various rental plans. The Himalayan Safari is one of the best travel agency offering budget taxi on hire service to and fro across entire Himachal. For best taxi fair deals get in touch with us today.